A lot of thought has gone into the composition of each flavor to deliver intense flavor coupled with creamy sweetness. An exciting assortment of flavors is available from zesty Lemon to intense Coffee to a floral Rose. 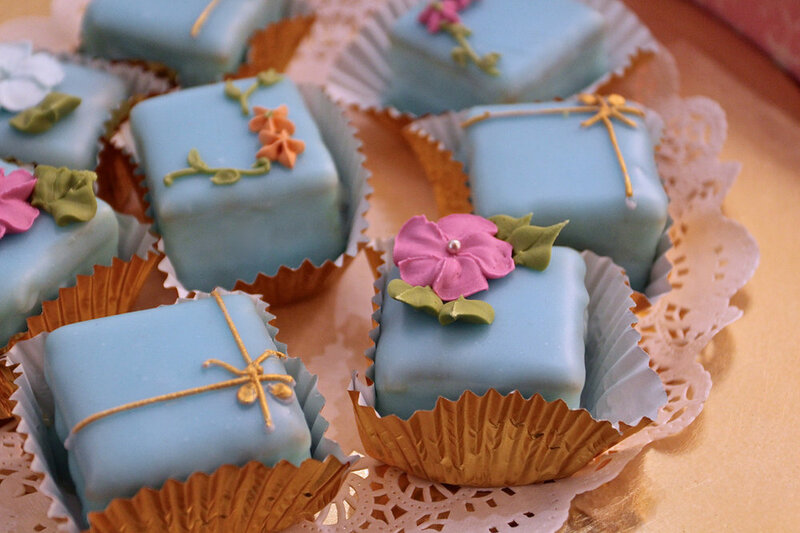 Packaged in boxes of 4, 9 or 16, Petit Cakes make excellent gifts for Valentine's Day, Mother’s Day, Birthday Cake, Thank You, Get Well, Gifts or other special occasions. 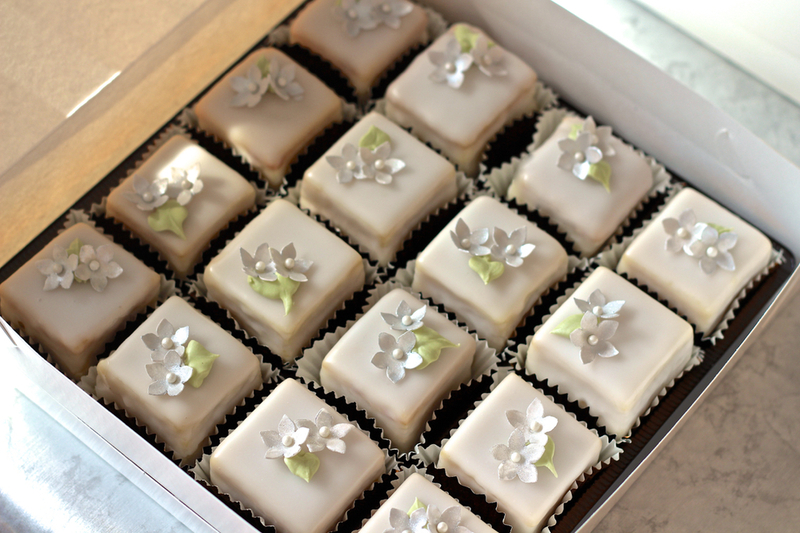 Also available in a single favor box, Petit Cakes present a unique gourmet wedding, bridal shower or baby shower gift. See celebrations. Bon Vivant Petit Cake is just under 2" cube. This larger size perfectly balances the liqueur-laced cake with the buttercream and the sweet fondant glaze. 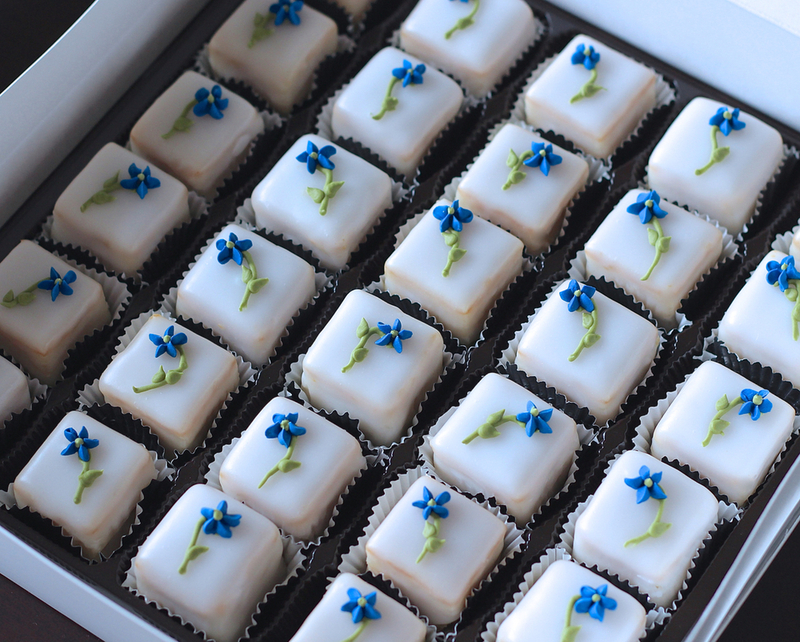 Bon Vivant Petits Fours are made with delicate vanilla cake laced with fine liqueur. The cake is then layered with a richly flavored buttercream infused in a choice of vanilla beans or lavender flowers. As with all Bon Vivant cakes, almond marzipan is layered on top of the cake next. The cake is then enrobed in a fondant glaze deliciously smoothened with complimenting liqueur. 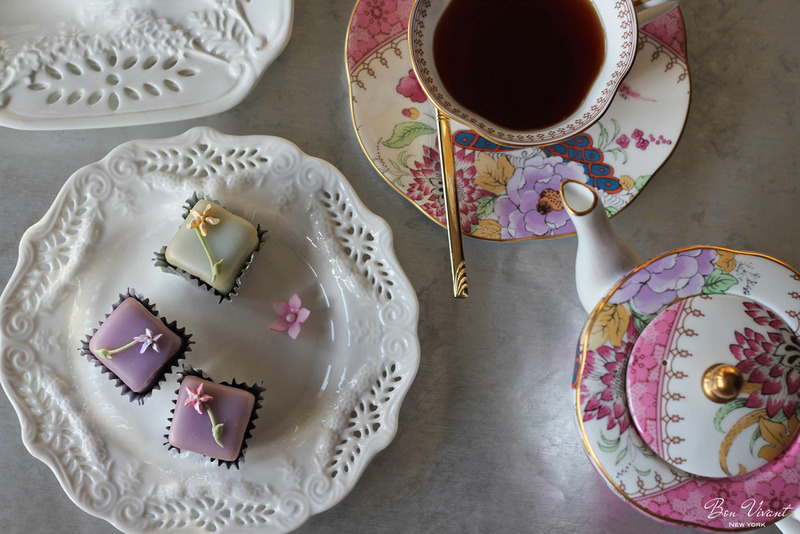 Petits Fours Demitasse are sized a convenient 1" cube, making for a delectable, sweet finger-food for house parties, events, after dinner treat, or other occasions. Typical serving is 1-3 per person. 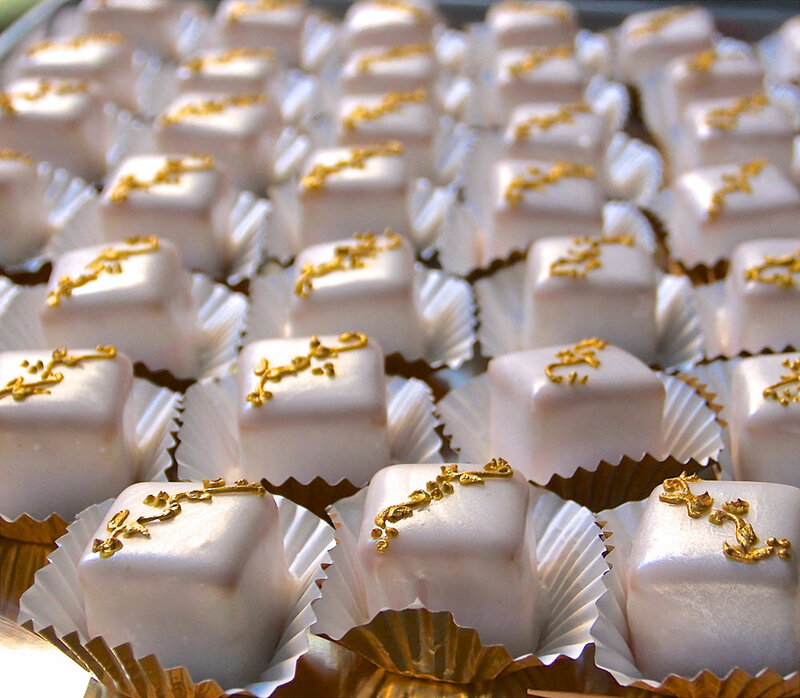 Petit Cakes and Petit Fours make an excellent accompaniment to loose tea, coffee, dry white wine or champagne. We are deeply inspired by Steve Jobs, particularly his mantra on quality. It starts with using quality Grade AA butter and eggs from truly pasture-raised hens from New York farms. Buttercream flavored intensely with lavender buds (left), plump vanilla beans, or lemon curd. Premium almond marzipan and imported Fondant glaze are the final additions that complete the cake. A carefully planned assortment of flavors.